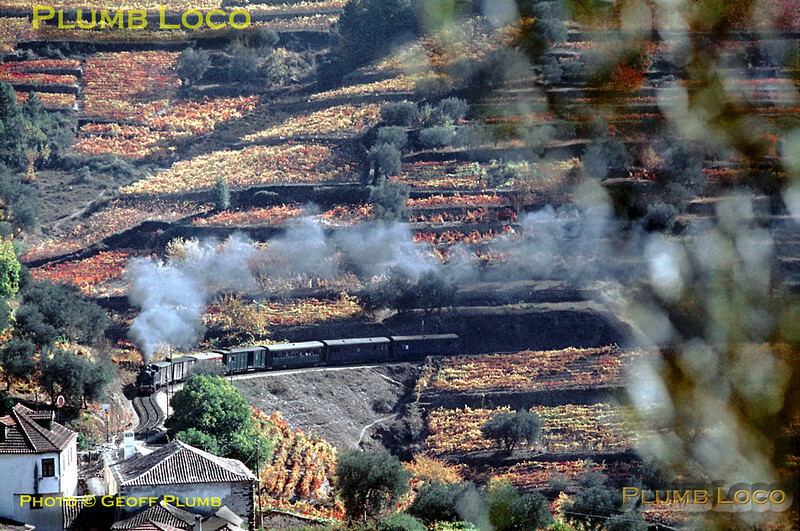 The vines on the terraces have taken on their autumnal hues as CP metre-gauge Mallet 2-4-6-0T No. E207 rounds the curve towards Carrazedo station with a train from Régua to Vila Real. Once it restarts its train from the station, it will climb round the loops here until it passes the point where I am standing. Thursday 5th November 1970. Slide No. 5811.